Provide comfort for the family of Theodore Keener with a meaningful gesture of sympathy. Theodore J. 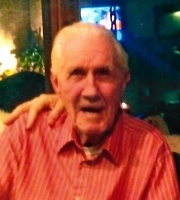 Keener, Sr. 92, of Lake Geneva, WI passed away to eternal life at the Artisan of Lake Geneva on Saturday, February 23, 2019. Ted was born November 3. 1926 in Syracuse, NY to the late Charles and Eva (McEwen) Keener. He served as a marine during the World War II until 1946 when he was honorably discharged. Ted loved his job as a builder. He built pools, churches, the Lake Geneva Library and log cabins. He also loved and enjoyed attending family reunions. 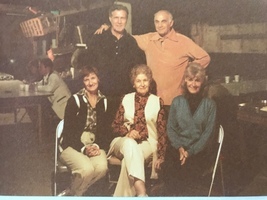 Ted was the loving father of Gale Keener (Joe Pugh), Ted (Marisa) Keener, Jr., Laura (Mike) Thompson, Larry Kuen, Fred Kuen and Barbara Kerr. Ted was the grandfather of Katie and Ted Keener, III and Josh Borst. He is also survived by sister Mary Shaunessy, nieces, nephews, other relatives and many friends. Ted was preceded in death by his parents, son Walter Kuen, sister Joyce DeMaroc, brother Charles Keener and brother-in-law Bill Shaunessy. A visitation will be held on Thursday, April 25, 2019 at the Steinke-Lazarczyk Funeral Home (515 Center St, Lake Geneva) from 3 to 6 p.m. with a service at 6 p.m., Pastor Bob Kamps of the Como Community Church will be officiating. Private family burial will take place at Oak Hill Cemetery. Steinke-Lazarczyk Family Funeral Home and Cremation Services of Lake Geneva, WI is proudly serving the family. To send flowers in memory of Theodore J. Keener Sr., please visit our Heartfelt Sympathies Store.